I bought a stock of Jumbo-sized bare-rooted Agapanthus in February from a supposedly reputable grower/supplier that I have used for years. On receiving them; I potted them up and kept them in the propagation unit. 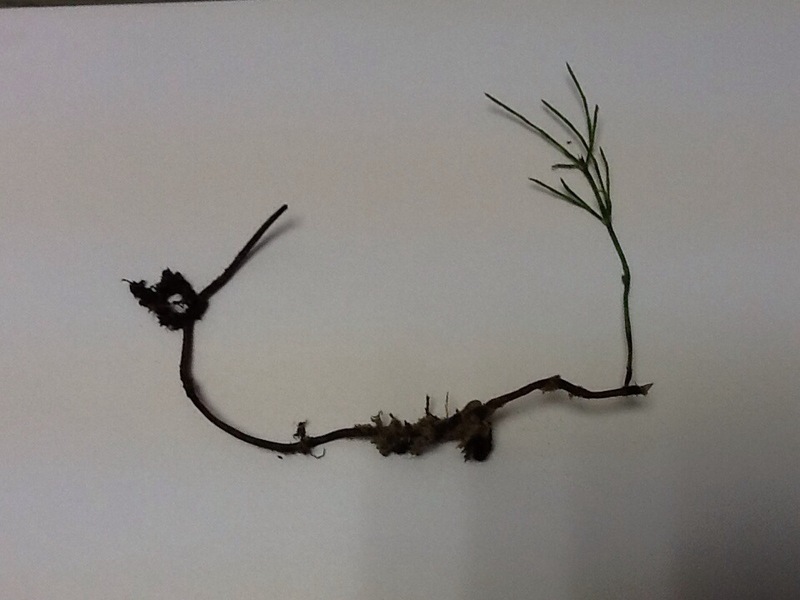 Today, I got them altogether ready for planting out in the Herbaceous Borders and I was very disappointed to come across the growth of Equisetum probably arvensis, “Horse or Mare’s Tail” amongst the roots. There is no Equisetum in the gardens and I certainly would not want to introduce such an invasive weed. I rung the supplier/grower; it was lovely that they offered me another load but I was very shocked when I was told that I could just ‘snap’ the Equisetum roots out. Where is the care for the natural environment and the future of our gardens?